The features and necessary tools are certainly the same – the ability to make and receive calls over the internet, handle virtual voicemail for all employees, and add standard features like call forwarding, auto-attendant greetings, music on hold, and so on. Beyond that, a good provider, such as CompuSOURCEwill handle conferencing, call recording, ACD queues, direct dialing and transfers between extensions. Furthermore, these features need to be available for employees located in the office or working from a distance. Solutions must allow the use of VoIP at home or in branch offices, cell phones, and landlines. 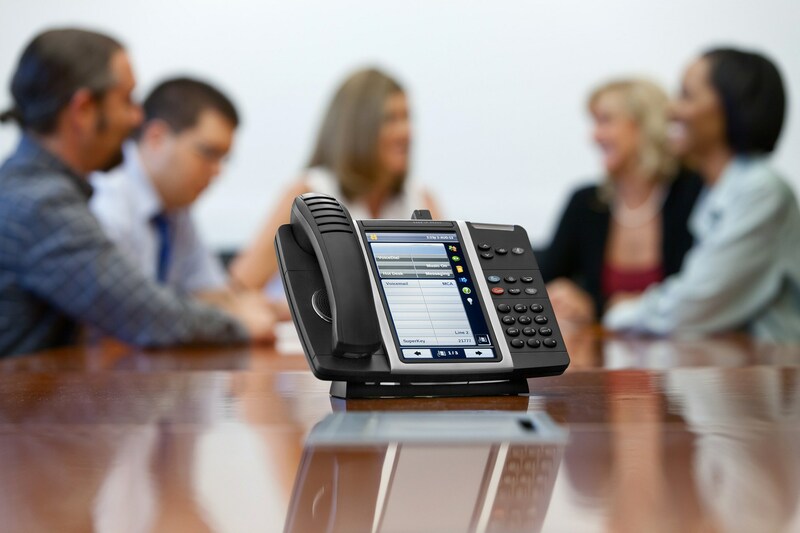 Small business VoIP solutions come with all the features and capabilities of our high-end VoIP phone system. 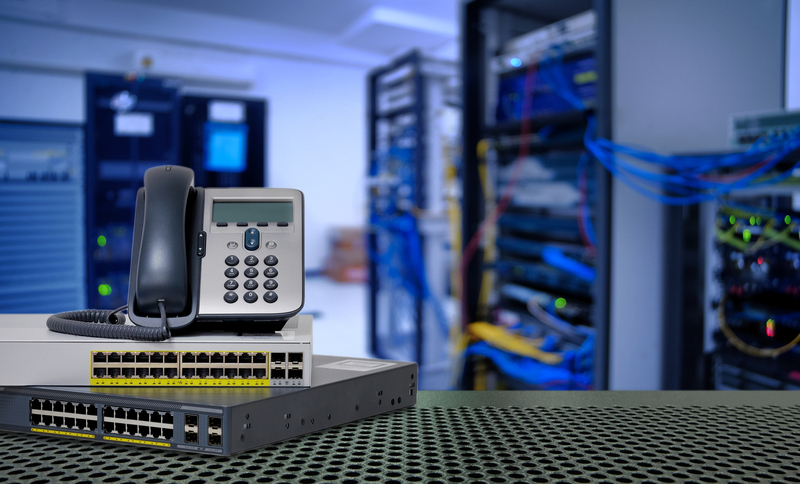 As one of the first hosted PBX providers, we’ve been enhancing our service for over 20 years and offer the deepest feature set in the market. Our expansive history also means that we have had the opportunity to accommodate a wide range of business types; including franchises, government and campaign offices, remote workers, call centers, sales organizations, one-person shops, multiple location enterprises, and everything in between. Get started by comparing our plans and pricing, or give us a call! We are standing by to answer any questions you may have. Take your small business to the next level with a professional, modern phone service. CompuSOURCE has a cloud-based business phone system that offers advanced features, easy setup, and reliable service – all for an affordable price. Tailored to small, medium, and large businesses. CompuSOURCE’s phone systems deliver a powerful set of enterprise-grade and productivity-enhancing VoIP features tailored to small and medium business organizations. Custom to your preferences and needs. Advanced features like auto attendants, custom greetings, voicemail to email and video conferencing are delivered at a competitive price for a dramatically lower total cost of ownership. Any small business or startup now has access to a full-featured phone system that previously would’ve cost hundreds of thousands of dollars. No IT department? No problem. Our small business phone solutions are easy enough for anyone to set up and come standard with advanced features, so even very small businesses can give customers an enterprise-quality experience. Want calls to get a live answer from a sales or support queue during office hours and hit an auto attendant after hours? Want to page all agents at once to save time and energy? Learn how easy it can be with our small business phone solution. The ability to page a group, transfer a call to someone’s voicemail, connect 10 people to a conference bridge, or listen to your messages on your smartphone are not only possible but simple. That’s the power of a small business phone system. 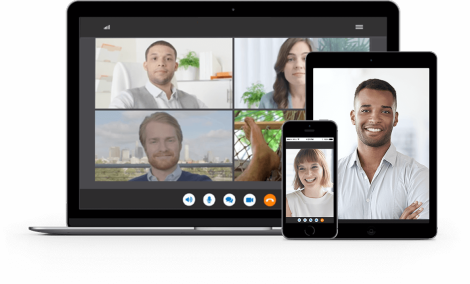 An integrated solution for phone, web and video conferencing, and collaboration. It’s everything you need to supercharge productivity—all at one incredible value.